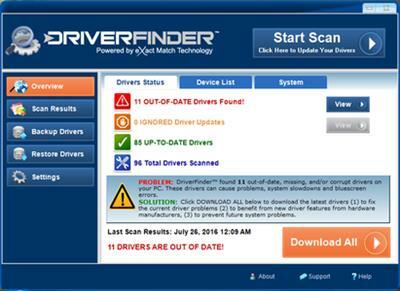 DriverFinder is a program that enables you to download the latest drivers for your system. It can be easily handled, even by first-time users. The interface of the tool is clean and intuitive. Upon program initialization, DriverFinder automatically performs a scan job on your computer. Once it is done, you can check out a list of outdated drivers, along with the descriptions, current and the latest versions.